Brand Tool Box conducted a comprehensive quantitative brand research study to determine the strength of the organization’s current market position and possible re-positioning alternatives. A similar research study was conducted to assess the internal brand or culture of the organization. The employee assessment showed different cultures across different communities (organizational units) as well as gaps between the understandings of the brand (“National Church Residences Way”) between facilities and the corporate office. Following the development and implementation of the brand platform (“The National Church Residences Way”), Brand Tool Box worked with National Church Residences’ human resource and training departments to implement the Brand Tool Box® Internal Brand-Building Program to all 2,400 employees. To coordinate the internal branding with the external brand building Brand Tool Box developed and implemented a brand positioning strategy that included developing a robust brand platform, new corporate identity and a new brand identity system that balanced the needs of building a strong corporate brand while balancing the needs for brand identity at the local community level. National Church Residences now has the confidence to accelerate its growth plans to greatly expand its capability to effectively help thousands more “vulnerable” individuals, year after year, for the foreseeable future. 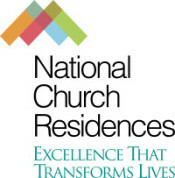 With the new internal brand building process in place, employees are now authentically connected to “the National Church Residences Way,” the operating principles that has provided the platform for their renowned accomplishments helping vulnerable populations survive and thrive across the nationwide system of housing and health care.